Online presence is very important for any business in today’s world. Attractive, effective and goal oriented website is a powerful advertising and marketing tool for any business organization. However, developing an effective website is not an easy task. Anyone cannot create such highly effective websites. Only a professional web designing company can help to develop an effective marketing tool for a business firm. There are some good web designing practices to follow. Knowing them will help you to observe the quality of the work which is done by the web designing company you hired. The first impression is very important when doing businesses. Your website should make a very good first impression. It mirrors your brand. Therefore, make sure to develop a simple, but attractive website. The home page of your website should be attractive. It should address what potential customers want to know about your business. Do not overload your home page with too many text contents. Also, make sure to prepare your website to match with different browsers and screen resolutions. Showcasing your products or services to potential customers is very important. Use some clear images to describe what you have to offer. Do not use too many images to display your products or services. They may cause to confuse visitors. Remember, you have only few seconds to make a good impression. Use it wisely. Every people do not have high-speed internet connections. Therefore, the loading time of your website is a crucial factor. Do not use flash animations, many videos and large images that increase the loading time. People do not like to wait even they have the slowest connection in the world. Therefore, arrange graphical contents properly to reduce the loading time. You should organize the website correctly. Clear navigation panel, properly arranged text, audio and visual contents are vital to have an effective website. Make sure to use proper headings and subheadings throughout the site. People can easily find details on your website though effective headlines. Also, include on-site search facility and site map to enhance the visibility of the site content. The quality of the content directly affect to the effectiveness and the search engine optimization process of any website. The quality of the content reflects the quality of the website. Make sure to prepare the content with proper keyword density. Also, make sure to keep fresh and updated content on the website. Design and development are two different processes. We mainly focus the outlook of the website during the designing process. Color balancing and content arrangements are some activities of the website designing process. Development ensures the proper functionality of a website. Database connections, content update and backend administration are some activities related to the development process. It is necessary to have accurate design and development processes for an effective website. The domain name is very important to drive traffic to your website. Always try to select a domain name related to your keyword or business name. Following above tips will help you to design a great website for your business. Therefore, select a web designing company who considers above factors during the process. The Internet have provided means and ways for you to be more profitable. It’s more easier to be more profitable online. If your website have a lot of traffic and visitors, you can turn this numbers into revenue. However, as easy as it looks like, converting your website’s traffic into cash can have some stumble blocks along the way. You need to have contents that will spark the interest of your visitors. You should also be able to gain more audience to be able to make more revenue. Promoting your site can help to gain more visitors. One easy way to do that is to promote your site on social networking sites. Linking your content to your social networking account such as Facebook and Twitter can be of great help. You can also monitor which is trending or not, and use this information to create an article or content that would relate to the trending topic. As more visitors come to your site, you may want to put advertisements on your website. Google AdSense, Nuffnang or Adbrite can be coded onto your website. Each time your guest would click on the ad links, you will get paid for it. It’s easy to set up an account for these, and once you have been approved, you can start showing their advertisements on your blog and start earning as well. Depending on the your site’s content, you may want to join an affiliate program. Businesses pay affiliates by just referring or redirecting people to their site. You may also opt to have a sponsored content area. Some businesses are willing to provide content for your site with links that will redirect your audience to their own website. There are also tools and services online that you can use to increase your revenue. For example, signing up for services for paid surveys and poll, and adding them to your site can help to make your site more profitable. You can also put in premium content on your site or even private forums, where in paid members can only access them. There are also services that offer monetized widgets. They can be in the form of text link ads. Pop-ups, especially exit pop-up can help to increase your profit. All in all, your site needs to have enough tools and quality contents to keep your audience to come back to your site. As long as you keep the quality of contents on your site, people would refer your site to others, which helps to generate more traffic and more cash. Another innovation in social networking and marketing using the Internet is Pinterest. It is a website that allows users to make and organize theme-based image compilation based on hobbies, events, interests, and marketing purposes. According to HubSpot, as of January 2012 Pinterest accounts for 3.6% of referral traffic or a 10% more likelihood of users purchasing when referred through them. In the same month, comScore reported that it had 11.7 million users, and it is the fastest site in history to break the 10-million-visitor record. 1. Images. When a user tries to use Pinterest for the first time it will be very noticeable how the website is highly-dependent on images, photos and videos. This is the foundation of Pinterest – pinning and re-pinning files. The more files are “pinned” and “re-pinned” by other users in their virtual “pinboard”, the more likely that these users’ followers will repeat the cycle of pinning and re-pinning. Since Daisy is promoting her blog site featuring photography, she makes sure that her photos are eye-catching even if those are made-believe events. Her models are made-up, her locations are breath-taking and the lay-out is beyond great quality. She wants her photos to be pinned by other users, so more exposure for her blog site is gained. 2. Brand. This item should always stand out from the competition. Exposure comes second to the brand name. If users or potential customers are not able to remember your brand, other search results will populate on their search engines or the on-site search dialog box. Remember that once creating a Pinterest URL, it should also be a name that followers can associate with your brand name. Daisy’s business blog site is called www.SayCheeeeeze.com. She named her Pinterest URL SayCheeeeezeForDaisy to make it more personal. This allows followers clicking on the images she pinned in her virtual pinboard to be redirected to her website. They can immediately see that it was the owner of the blog site whom they are following and not a make-believe account. The next time these users search for photography-related business it is more likely that they search for the ones who gained their confidence. 3. Link. There are so many other networking websites that can be linked with Pinterest. A user can choose to notify friends and followers in Facebook and Twitter respectively, when they upload something in their pinboards. Always keep in mind that accounts under one brand should be consistent in how the brand is described in every link made. 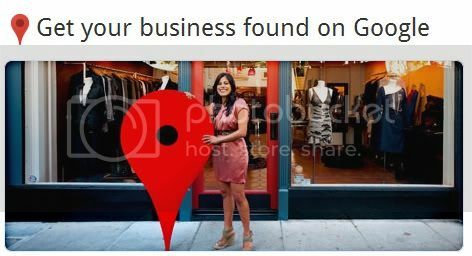 This gives way to one name the brand is only associated with, so when potential customers search for it over the internet, they will be always redirected to the original source of the pinned images. Daisy uses hash tags when she wants to pin her images using her Twitter account. She always use #SayCheeeezeForDaisy so anyone who views the discussion under this hash tag will very well see the source blog site. In Facebook she uses description that reflects her brand name whenever she provides captions for the photos. Originally, when her users view her pinboard in Pinterest, it all has the branding at one part or another. 4. Personality. In Pinterest, virtual pinboards is like the eye of the brand. It reflects every single detail of what the brand is all about in that category. It is very important that pinboards are presented in a way that relates to the brand itself. Daisy and her staff sorts their pinboards based on their marketing strategy. Her pinboards range from potential locations for an event to the physical lay-out of an invitation, so she can fully market her photography business depending on the needs of a client. She even pins photos of behind-the-scenes just to show that these images are made from serious passion for the art. 5. “Pin it!” This button should appear from the source website or article where the pinned images originally came from. If users see this button in the source website or article, they can use the button to save that pin in their Favorite Pins. Consequently, the content these users pinned can be found outside Pinterest, and can also be re-pinned when they log in to their Pinterest accounts. On her business blog site, Daisy downloaded the “Pin it!” button, so the contents of her homepage can be easily pinned by viewers. Sometimes, she is surprised when she accepts an invitation from a user and this user already has pinned her items from her different pinboards. 6. Pinners. There are pinners, or those who already joined Pinterest, who could share the same interest in what a user is already doing. Find relevant pinners who can boost your network, and benefit from the level of exposure this can do to a business. Daisy wants to expand her network, but is also cautious about eliminating competition. She follows pinners whom she can interact with regarding event planning and coordination. She follows those who are engaged in catering, formal wear and so many more. There is no telling how many potential customers can view her pins, and who can do business with her in the future. 7. Ownership. It is very important that each image, photo or video that is pinned is branded, literally speaking. There should be logo or a trademark that tells the entire World Wide Web it is someone else’s property. Even when the embedded link on a file is removed due to some reasons, Daisy makes sure that her SayCheeeeeze logo is set on the background of every file she pins. It looks like a faded logo in gray-scale color, which does not affect the quality of the image. 8. Rates. Rates matter for a brand to gain more exposure in the realm of Internet. A brand-owner should have the means of measuring if a particular marketing strategy works or not. One way to measure it is using the Click-through method. Daisy took advantage of the fact that when users click on her pinboard, they would be redirected to a live link that usually pops out a new window. She wants to make sure that someday her name will be listed as one of the Tastemakers in Pinterest to gain more exposure for her business. 9. Online presence. Followers should see a user’s online activity in the website to ensure that they keep coming back for feedback. Not only does this guarantee a good click-though rate, but it also boosts their confidence that every activity is authentic. As a follower, they can pride on their feedback being needed and that level of business relationship will open more opportunities. Daisy regularly comments on files pinned by her followers especially if she has professional feedback to offer. She joins conversations related to her pinboards and appreciates feedback and compliments. She also assigns a staff to monitor the accounts related to her Pinterest login to make sure that every question or comments are heard of and acted upon. 10. Innovation. It is logical to study a targeted market’s preference every now and then to find out latest trends. Always check trending items incorporate that in a strategy that will gain exposure. Pinners will be more likely to check another pinner’s pinboard regularly if there is always something there to surprise them. Changes are good every once in a while to ensure that pins with exuberant content are pinned and re-pinned. Daisy aims for her brand to be named as a Tastemaker in Pinterest. Her pinboards are updated regularly and presented in a way that is similar to a popular TV series’ season finale, a famous chick-flick movie or a famous sports event. Her models for a photo-shoot will still lay-out scenes depending on a make-believe event but her followers will definitely be able to relate it to something else popular because she innovates every now and then. 11. Analysis. There are a number of free system tools that can be downloaded to take advantage of interpreting the results of a market strategy. At the end of the day, anyone can create a brand and perform every executable study to make it work, but the results needed to be interpreted. This is the only logical way to rule out theory in a strategy, so costs can be eliminated and more income can be generated. Daisy has found out that through Pinterest, her business blog site earned so many views, and it resulted to her sales scaling up to almost 28% compared to the previous quarter. She utilizes http://pinterest.com/source/yourwebsite.com to pins that has links to her blog site. She can also determine who is pinning what. While using Pinerly, she also found out the activities of the content pages where files are pinned with. It details the posting times, and even assists in enhancing the same exact contents.